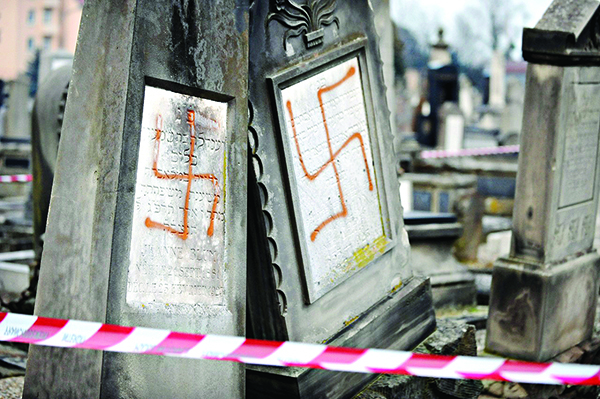 The Community Security Trust has welcomed a 22 percent fall in the number of anti-Semitic incidents reported in 2015 as compared to 2014 – but warned that the total is still the third highest on record. New figures, revealed this week, show that the CST recorded 924 anti-Semitic incidents last year – half of which involved verbal abuse. The highest monthly totals were in January and February, when Jewish communities in France and Denmark were attacked. The new yearly total represents a huge drop from the 1,179 incidents seen in 2014, when there was an upsurge in hatred towards Jews during and after Israel’s military operation in Gaza, which killed 2,251 Palestinians and 71 Israelis. CST bosses said there was now increased co-operation and incident-sharing arrangements with police forces around the UK. This means that more incidents are being captured by the CST stats, increasing yearly figures. However, they also said that 2015 was the highest figure for a year in which Israel was not involved in hostilities, something the CST described as a “trigger event” in its report. “[This] is a reminder that the amount of anti-Semitic abuse in this country remains unacceptably high,” said CST chief executive David Delew, writing in this week’s Jewish News. An anti-Semitic christmas card received by Labour MP Stella Creasy, which denies the Holocaust. A breakdown of the figures showed that, of the 924 incidents, 472 incidents were reported from Greater London and 226 were reported from Greater Manchester, the country’s two largest Jewish communities. In a worrying sign, however, the number of violent anti-Semitic assaults rose in 2015, from 81 incidents in 2014 to 86 last year. This included four attacks categorised as “extreme,” including grievous bodily harm or a threat to life. 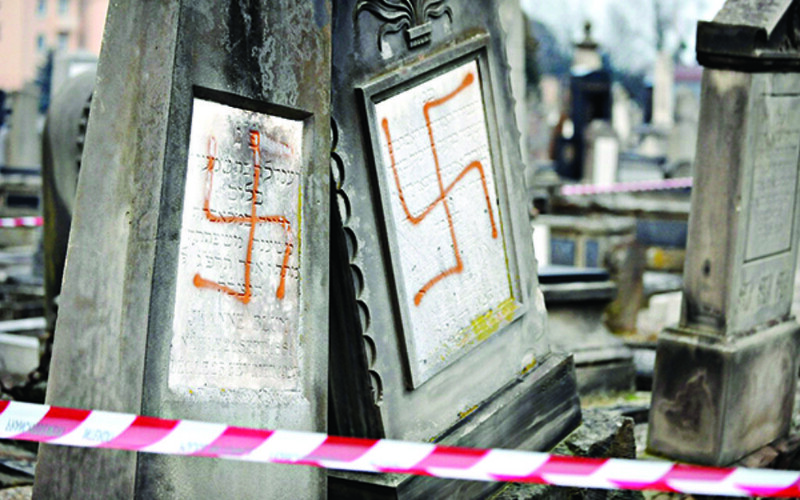 Elsewhere, there were signs of encouragement, with a 60 percent drop in the amount of reported anti-Semitic literature and a sharp reduction in reports of damage or desecration to Jewish property.